Moulin Rouge is an incredible movie, with a great soundtrack and an amazing cast, here are 10 things you may not have not known about it. One of the great modern musicals, Moulin Rouge sang and danced its way into our lives 15 years ago. It is the tragic story of a poet and his muse who would fall in love but be torn apart by circumstance, and is one of the most over the top yet fun movies you will ever see. Let's take a trip to Paris, and look at some things you may not know about this spectacular movie. 1. Nicole Kidman broke her ribs twice while filming. She injured her foot and fractured a rib during rehearsals, then broke a rib again because of her corsets. A lot of the shots from the chest up, like "A real actress" were actually done with her in a wheelchair. 2. John Leguizamo actually had to go through physical therapy following this film. He was in braces with socks to make himself appear shorter as well as squatting through much of filming. 3. 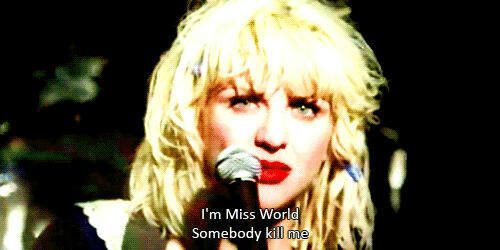 Courtney Love was up for the role of Satine. She lost it to Nicole, but did allow the filmmakers to use "Smells Like Teen Spirit" in the film. 4. Ozzy Osborne was supposed to be the Green Fairy. They decided to go with the demure Kylie Minogue, but they did keep his voice in for the transition yell. 5. The necklace Nicole wears is the most expensive piece of jewelry made for film. The Stefano Canturi necklace was made with 1,308 diamonds, weighing a total of 134 carats and was worth an estimated US $1 million. 6. Nicole Kidman and Ewan McGregor had to wear harnesses for the "Elephant Medley" scene. They were actually 60 feet off the ground during it. 7. "Come What May" was originally written for Romeo + Juliet (1996). It never made it into the movie, so it is this film's only original song. 8. Nicole Kidman is actually wearing a wig throughout the entire film. A little disappointing for me, as I was always jealous of her locks in this film. 9. There were 300 costumes made for the film. At one point there were 80 people working in wardrobe. 10. Toulouse-Latrec actually did exist. Some of his lines in the scene after Satine rejects Christian are from his actual letters. Moulin Rouge is an incredible movie that is a feast for the eyes as well as the ears, with a great soundtrack and incredible cast. This is definitely a movie that is worth revisiting.